Expert Review of What About Me? 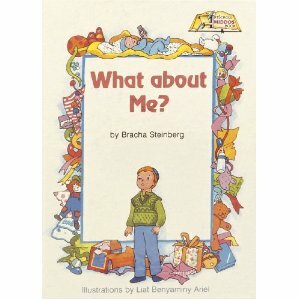 by Bracha Steinberg, one of our picks of the top Jewish books for kids! BOOK / GIFT NAME What About Me? When the new baby came home, nobody seems to care about his older brother. Poor neglected boy! Until his wise, kind mother solves the problem.